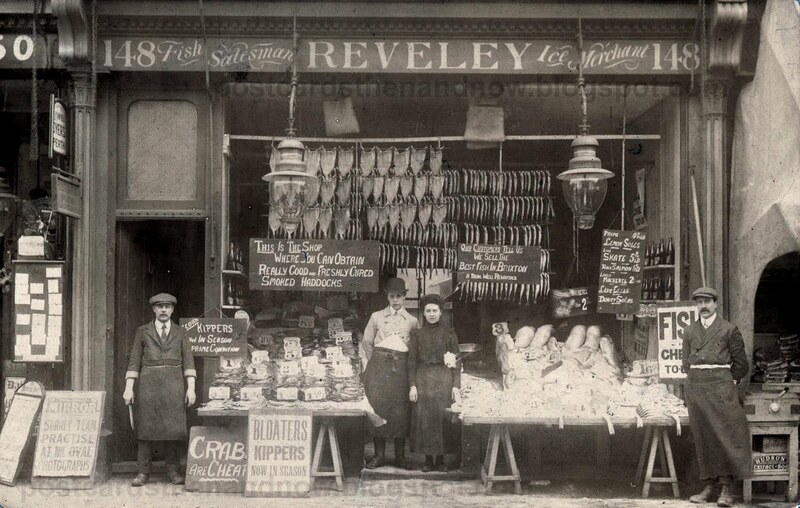 Brixton, 148 Acre Lane, Reveley Fish Salesman and Ice Merchant circa 1906. I think Reveley was Albert Reveley born 1885. This postcard was badly faded so I've edited it to bring out the contrast. 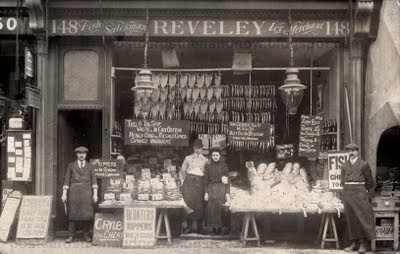 The signs state 'This is the shop where you can obtain really good and freshly cured smoked haddocks' and 'Our customers tell us we sell the best fish in Brixton, A trial well rewarded'. The postcard was not posted and has no writing on the back. Unfortunately I don't know the identities of the people on the front or the publisher of the postcard. I have guessed the date to be around 1906. The premises is now a fast food outlet, but at least they still sell fish. Click the postcard to enlarge. Fantastic postcard, so much detail, and an excellent choice of fish by the looks. It makes you think about the shops either side too, the one is probably a news agents with the board out for the Daily Mirror. In fact it makes you wonder how on earth such a fine looking shop becomes what it looks like now! A terrific photo that you can practically smell! But again with these trade photocards - what was their purpose? 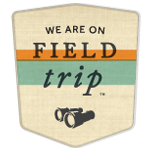 A souvenir for the tourists? A give-away prize to favored customers? A substitute GPS image for illiterate seafood delivery drivers? Good point Mike, but a huge part of a shop's business would be conducted by postcard when most people didn't have telephones. Rather than use a generic blank postcard an enterprising shop would have their own postcards printed. A Reveley postcard!!!! I will see if I can track down that line. Wow! This is my Great Grandfather Albert's shop! His granddaughters Daphne Groves and Yvonne Wood (both nee Reveley), are my Mum and Aunty respectively! His son Harold was my Grandad. My Aunty Yvonne's last comment to me was that she had heard that her Grandad was a Fishmonger. By visual clues only _ I would say that Albert Reveley is most likely to be the man on the extreme right hand side of the post card as you look at it. I have no photos of him though I will now get in touch with my cousin in Enfield and see if he has any. I am amazed that it's in Brixton though. That locates both my paternal and maternal families in Brixton! Thanks Howard, this has bought a big smile to me on Bank Holdiay, Denise Groves a true Brixtonite!! This is my Great Grandfather's shop too! Albert is the younger looking man in the middle - I recognise him from his (first) wedding photo which I have a copy of. My grandfather was the son of his first marriage. I have a digital copy of this photo already, from where, I forget. Fascinating to know it was originally a postcard.